Small gantry crane is a popular material handling equipment designed to lift small and medium sized materials. 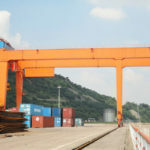 It more often comes in light weight, mobile and adjustable designs, but you can also choose a fixed type such as small rail mounted gantry crane according to your particular need. This lightweight gantry crane is widely adopted in shop, workstation, garage, workshop, freight yard and so on to suit the small lifting requirement. We manufacturer the small gantry cranes into various sizes, heights and spans to undertake a large variety of capacities including 1 ton, 2 ton, 3 ton, 5 ton, 10 ton and more to fit different lifting needs. 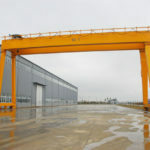 The small gantry cranes we produce fall in multiple types such as mini gantry crane, small portable gantry crane and small aluminum gantry crane for you to choose from. They are tailored to suit your individual application. Small gantry crane is typically a kind of A frame gantry crane due to its A shape viewed from the side profile. Our small gantry cranes are available in multiple types and designs, which can be used for both indoor and outdoor workplaces. Here we highly recommend several main models we produce for your reference. 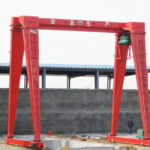 MH single girder gantry crane is a typical type of light duty crane for general use. Its capacity ranges from 3 ton to 16 ton to meet small and light lifting requirements. This type of light gantry crane comes in various options, such as box and truss structure. You can also equip the crane with European electric hoist and motors to make an European standard gantry crane. BMH semi gantry crane is also an option for small gantry crane with capacity ranging from 2 ton to 16 ton. This light duty gantry crane has different running mechanism for that it travels along wall-mounted rails on one side with the other side supported by two legs. This equipment is adopted when you have a space issue. Small mobile gantry crane, also known as small portable gantry crane, has a distinguished feature of high flexibility. It is a very popular lifting tool adapted for various indoor and outdoor uses to perform light lifting tasks. Our mobile small gantry crane can provide 1 ton, 2 ton, 5 ton, 10 ton and other capacities to meet different demands, and it comes in two main types including small aluminum gantry crane and steel gantry crane. Compared with rail mounted crane, these mobile gantry cranes have smaller lifting capacity but greater mobility. The small aluminum gantry crane is a lightweight portable gantry crane, which can be wheeled anywhere in the working areas freely and easily. Made of aluminum gantry, this lifting equipment has significant advantages of light weight, high corrosion resistance, strong mobility, which make it an ideal equipment for some controlled environments. 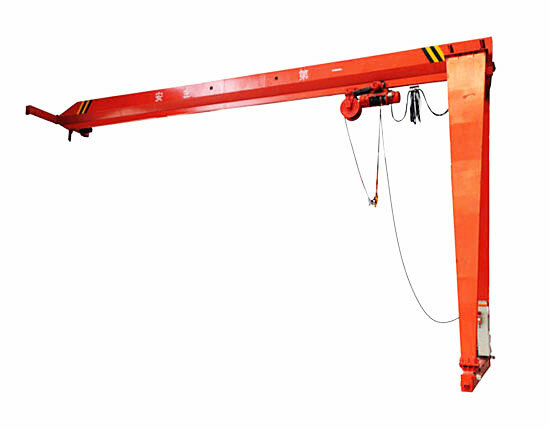 The aluminum gantry crane can also adjust height and span readily. 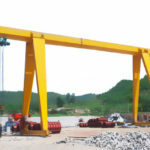 Steel gantry crane is an economical lifting solution and it enables you to move materials freely. It has solid structure and stable performance with fixed and adjustable height options. The stainless steel gantry crane has other options including the I-beam length, caster brakes and trolley assembly. In terms of applications, we supply small shop gantry crane, small garage gantry crane, small workshop gantry crane and workstation gantry crane for your wide range of applications. With various types of small gantry crane for sale, we are pleased to help you select the most appropriate one so as to improve production in your factory. Small gantry cranes can be fabricated with different types, sizes and capacities, therefore their prices vary accordingly. When looking for a small gantry crane, some people may be most concerned about price, but the first thing you should consider is your gantry crane configuration, specification and model in order to make the right choice for your application. 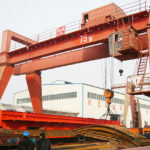 Besides, it is also vital to choose a right small gantry crane manufacturer, because it is highly related to your crane quality, service and price. If you would like to know the price of small gantry crane you select, contact us now to a preferential price. 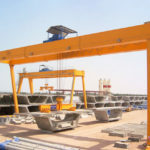 You can also tell us your detailed requirements for gantry crane so that we can assist you to select an appropriate and cost-efficient lifting solution for your need. All of our small gantry cranes are designed in compliance with industrial and international standards. With so many types of gantry cranes mentioned above, we supply various options for the small gantry crane designs and components. For small rail mounted gantry crane, it can be equipped with different types of electric hoists including wire rope hoist and chain hoist with options of CD1, MD1 and European standard. Various spreaders can be applied to carry out different lifting requirements. This small overhead gantry crane can be designed with either box or truss structure according to environmental conditions. For small portable gantry crane, a large variety of tires are available to fit different ground surfaces, such as solid, soft or uneven surfaces. Other components including caster, wheel brakes and height adjustment kits are also designed based on your request. Our gantry lifting equipment is designed according to specific needs of customers. To learn more about small gantry crane design, consult our sales representatives and engineers online. 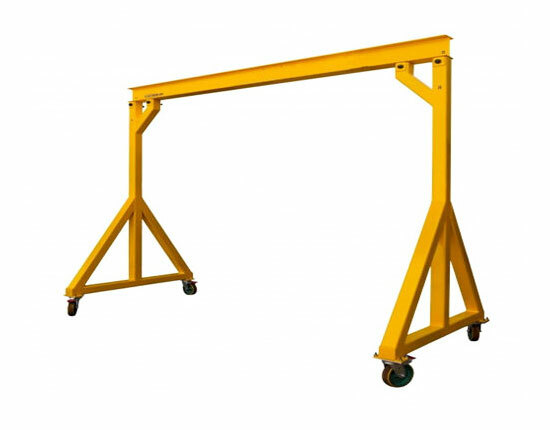 The small gantry crane is generally movable with wheels or rails, which makes it increasingly popular in the shop, warehouse and workstation. This equipment can be assembled, disassembled and relocated easily, especially the small mobile gantry cranes can be moved readily. Though falling in different types, these small gantry cranes generally have the same structure, mainly including main beam, legs, lower beam, hoist trolley, crane running mechanism and electric control system. Other components such as the operating control system are available in multiple options. 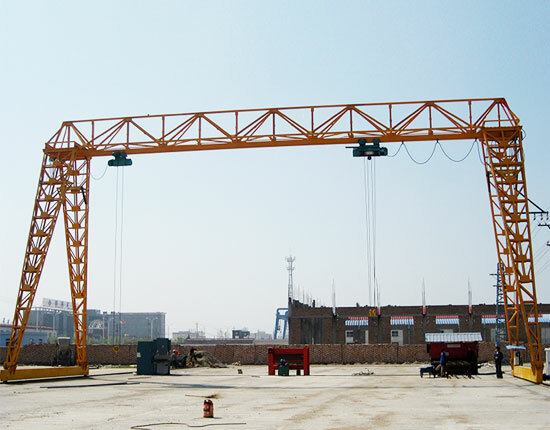 Generally the gantry crane can be operated either from ground or cabin room. In addition, the modular design makes it much easier to build this single girder gantry crane. We not only supply the small gantry crane, but provide the supporting services including the installation and maintenance so as to streamline purchasing process of customers, and at the same time save time and cost for them. If you have any trouble building a small gantry crane, please feel free to contract us. Our experienced technicians will help solve your problems. 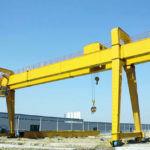 Ellsen machinery is one of leading small gantry crane manufacturers and suppliers in China, and we have lots of experience in the crane design, manufacturing, installation and maintenance. We constantly do our best to satisfy customers and aim to bring maximum value to them. We have specialized in material handling equipment for many years, and mainly supply overhead bridge crane, gantry crane, jib crane, hoist and winch. Besides, we always persist in the principle of customer first and quality foremost to best serve our clients and earn good reputation from them. Here are some reasons why you should choose small gantry crane from us. We have set quality control system and quality assurance system to make sure all of products are manufactured under strict inspection and control by our specialists. In addition, our gantry crane has embraced ISO and CE certificates to ensure safe, reliable and quality products. We keep introducing advanced technology and processing equipment home and abroad to improve our cranes in quality and design. 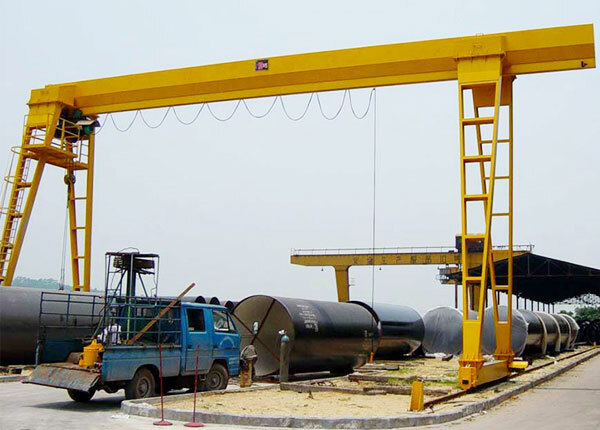 We are not only gantry crane factory to supply the equipment, but a service provider to offer design, package, shipping, installation, inspection and maintenance services. We have rigorously trained our workers and staff to provide dependable service to clients. Our small gantry crane has 12-month warranty, and you can rest assured our service. Technical support. Our experienced engineers are ready to solve your material handling problems and assist you to choose a proper lifting system for your need. We also have skilled workers to help you install and maintain the equipment. Custom design. We always build the best solution for customers to bring high efficiency and benefits to them. 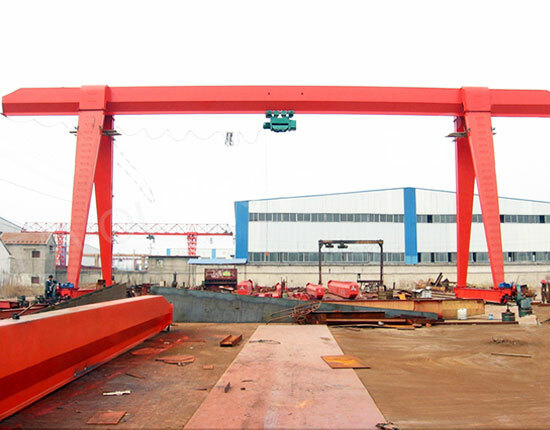 According to customer’s special requirements, we are capable of designing and producing customized small gantry crane. If you have any need for small gantry crane or other lifting solutions, you can contact us online at any time. A prompt reply will be given to you.